Today is stop ONE on my blog! I will have a stop every Sunday until August 14th! I am sharing with you Jessica from The Book Bratz! We decided to have some fun with our post today..
We both took a quiz on Goodreads and we are going to share the results with you! If you haven't taken it, go forth and do so! Then stop in & share your results with us! You can stop in at The Left Handed Book Lover and read all about ME! I decided to share a few of my hobbies with everyone! It's a fun post, just like this one! That one was not exactly easy! I know I struggled on some questions! I was actually afraid to take it at first because I had just recently begun to even get into the YA, aside from the few that I have read already! I think I did pretty good though! Jessica too for that matter! Some of those questions really had you thinking! Jessica would love to get to know fellow bloggers! Reach out - make a new friend! 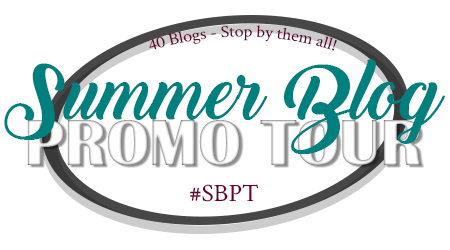 What did YOU think of Stop 1 on the #SBPT Promo Tour? Did you take this quiz? Share your results! I got 82% :( Some of the questions were so easy for me and then others seemed impossible haha! I do wish that quiz talked about a wider range of books, though. I only got 71% but I've only read like two of the books they talk about. Not sure I think that Lovely Bones is a YA book either. But it was at least neat to see what I did know!